Michelle works as an environmental consultant specialising in ground contamination. 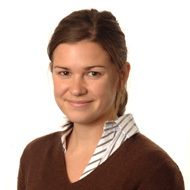 The majority of her career has involved the assessment of brownfield sites located in central London. Given the long industrial legacy of contaminative activities in London (such as gasworks, railways, manufactory and landfilling) and the pressures to redevelop brownfield land, it is an ideal location to gain experience of the contaminated land industry. Her role as an environmental consultant involves researching previous land uses of a site by studying historical maps, undertaking site reconnaissance visits and ground investigations where necessary. Consequently, she have visited areas of London that she didn’t know existed and quickly discovered that travelling on the tube at rush hour loaded down with site gear is not easy! In the office she is responsible for analysing chemical data, interpretative reporting, creating graphical representations of data using GIS and liaising with relevant stakeholders (including regulatory bodies, clients, contractors and other technical specialists). Consideration of ground contamination issues is often required for the EIA process, which involves a multidisciplinary approach to assessments. Communication with different stakeholders using various techniques to convey scientific information is another challenging yet enjoyable aspect of her job. In June 2012 Michelle became the IES’ first post-grand-parenting Chartered Scientist. She applied for the designation to demonstrate to both clients and employers that her qualifications and work experiences meet the highest professional standards set by a recognised global standard. It took her around four weeks in total to complete during evenings after work and weekends. She found the process a positive opportunity to take stock of her achievements to date which helped to focus her aspirations for what she would like to achieve professionally in the future.